I won’t talk too much here because we all know the only reason you’re reading this post is to see/shop the outfits I wore in Maui a few weeks back. I had to do a bit of shopping (bummer!) because it was pre-Summer, and borderline pre-Spring- meaning my wardrobe was majorly lacking anything Summer related. It was pretty humid while we were there so we were in flip flop weather morning til night. It was THE perfect weather, honestly! You’ll see I bought a few key items that I transitioned from (most) outfit to outfit. That’s the trick; buy 2-3 key/stand-out pieces and rotate them. For me, I tend to stick to stand out accessories. And another tip- don’t be afraid to throw in some flip flops with a dressier outfit. You’re in Hawaii! You can get away with it… it brings out that island vibe and let’s be real- comfort at it’s finest! And don’t forget a trucker hat! 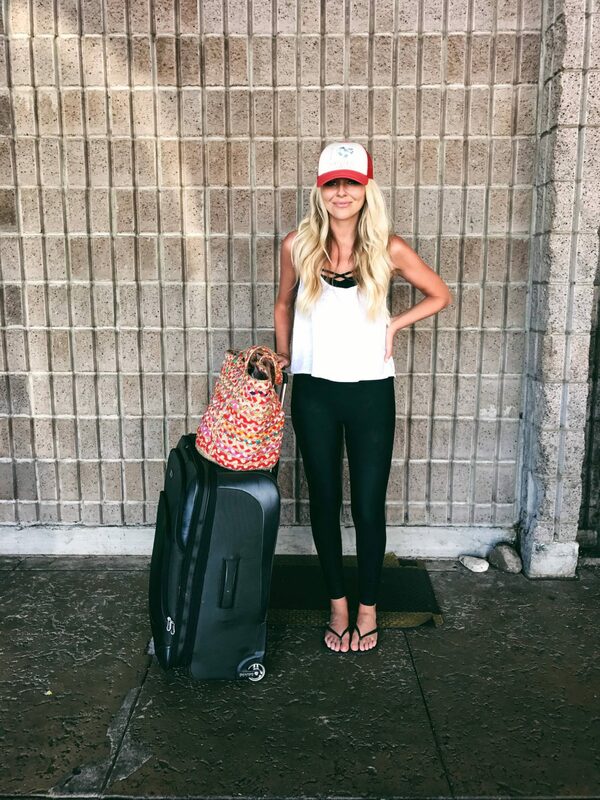 Perfect for traveling days, no-wash days, or strait up beach hair days! Previous Post Jude turns ONE! Is the black or white bathing suit reversible? Hi Jaime! Are you referring to the bikini that comes in black and white (I’m wearing the black one?) If so- yes it is! The black one is black and that bright purple/pink color. Not sure about the white. Hope that helps!